Cold ice cream plus warm cake equals a bowl of soggy mush. Here's a better way to eat ice cream and cake without compromising the integrity of either. Jodi Kay of Happy Hearted Kitchen revisits her favorite childhood treat with date-filled, chocolate-covered turtles. Soak up the sun, listen to some tunes, eat some dates. Gena's secret incredient for the best morning glory muffins? Sweet, caramel-like date paste. We're bringing quick breads back. A packable snackable that's both wholesome and indulgent. Forget what you know about vegan baked goods -- this quickbread is a game-changer. 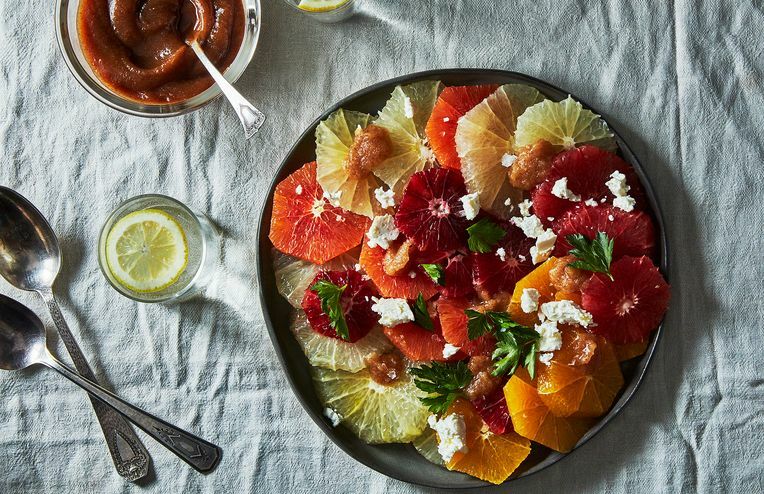 Your oranges belong in this salad. Jennifer Farley of Savory Simple makes a homemade version of store-bought fruit and nut bars that are filling, flavorful, and just as sweet as you want them to be. This Valentine's Day, you're giving exactly zero hoots. A chocolate cake that makes us want to turn on the oven and start baking, even in the middle of July.